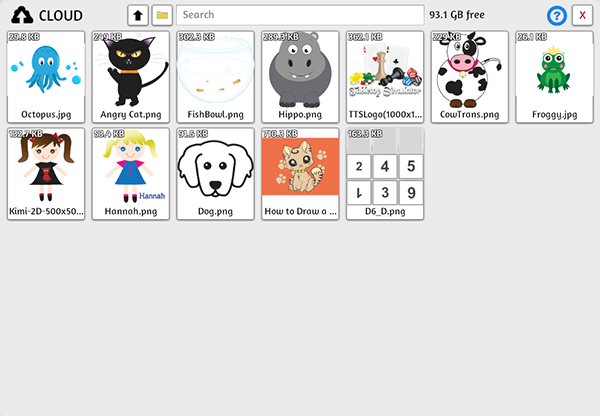 The Cloud Manager is where all the files you have uploaded to the Cloud are located. All images that are uploaded are shown as thumbnails. If you wish to view any of the object files, click the triple dot icon when hovering over the file and click preview. You can see the size of each object on the upper left of each file, and see how much space you have left in the cloud at the top. To import files directly into the cloud, click the file icon on the top and it will bring up the file browser. Choose your file and either double click it or select it and click the OPEN button. Your file will now be in your Cloud. 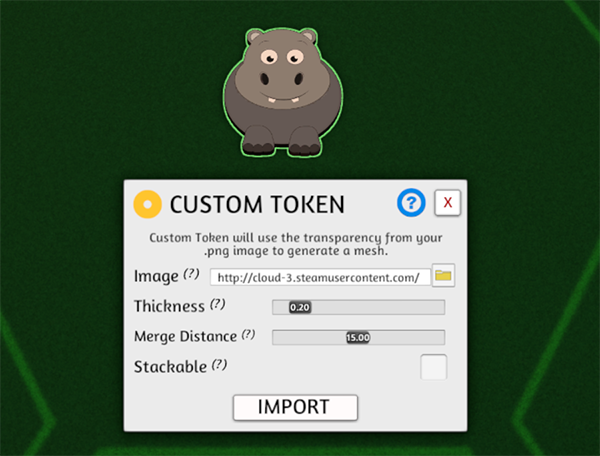 If you encounter any broken images, you can upload all custom files to your Steam Cloud by clicking the up arrow icon. 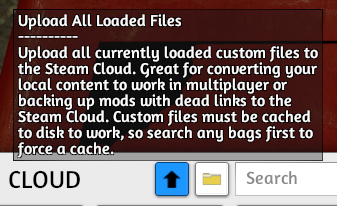 You can also use this to convert all your local files to work in multiplayer with one click of a button. To get the URL, just click the file and it will automatically be copied to your clipboard. Choose where you want to input the URL and paste it (CTRL V) into the URL slot.